If you’re like most people, you’ve probably created dozens of presentations in your lifetime, and many of these in just under a few hours. But ask yourself: Do you really know how to design a memorable presentation that will stick in your viewers’ minds for months, even years to come? The answer is probably no. Most of us have never actually learned the design principles necessary to impact audiences through visual storytelling. 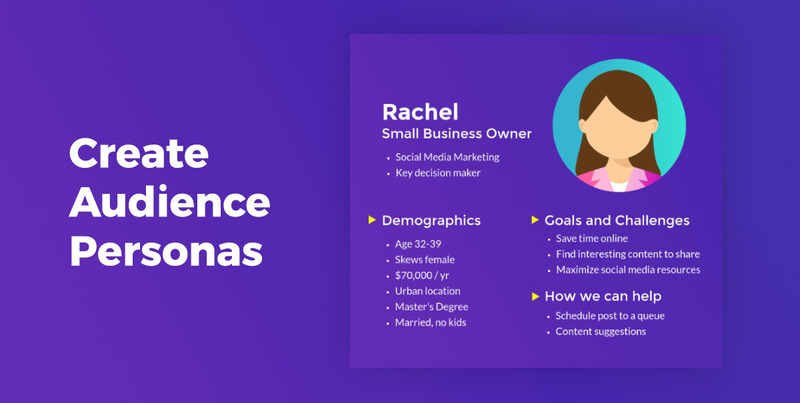 Perhaps the closest we have ever come to crafting a visual message is a PowerPoint presentation full of bullet points, overused stock photos and bland color schemes. But these kinds of presentations rarely inspire real change, especially in this new age of visual communication. In this book, we’ll cover simple and practical design tricks you can apply to take your slide decks from mediocre to stunning. 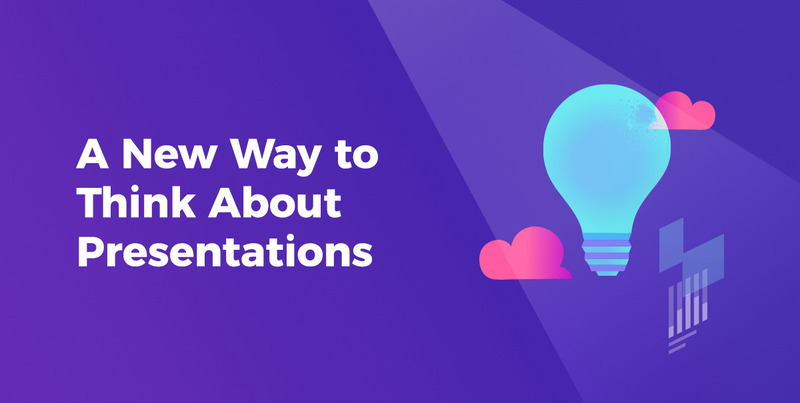 For most people, using presentation software to create slide decks has become second nature: You simply choose a design template, insert your text, create bullet points for each slide, add a few images here and there—and voilà! You’re done—right? Not if you really want to impress your audience. The most effective speakers have learned to wean themselves off bullet-ridden slides in favor of highly visual presentations that reinforce their words—instead of repeating them. This is no surprise since human beings are hardwired to process images quicker than textual information. While we can process images in as little as 13 milliseconds, according to one of the latest studies, text takes considerably longer to process. Sadly, however, most students, academics and business people are taught to stick to the old way of creating presentations: full of text-heavy slides that make it harder—not easier—to understand and act upon your message. Does this mean that visuals will trump the written word? By no means! Whether you’re dealing with a multimedia presentation, a Hollywood movie or a novel, one thing will always reign supreme: the power of storytelling. This is why well-designed slides will always start with a good story and good content—not the other way around. 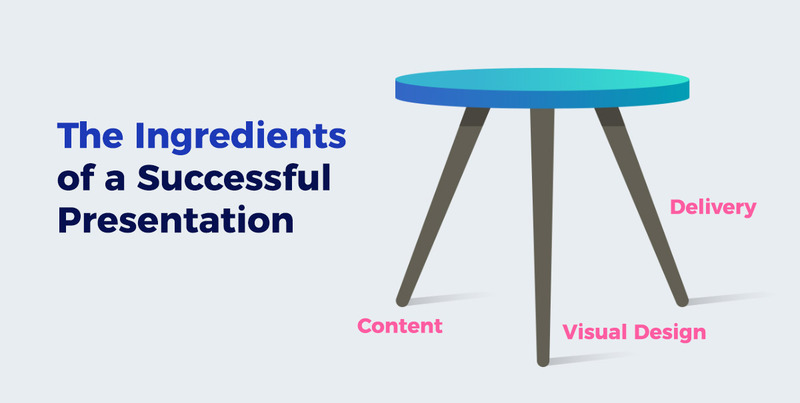 So, the three essential ingredients to a successful presentations are: the content, the design and the delivery. We will cover each of these components, one by one, in this book. We all learned in high school or college that a piece of communication can have one of four purposes: to inform, entertain, inspire or persuade. These same communicational objectives can be applied to presentation giving. For example, within a business setting, your goal may be to accomplish more than one of these objectives: to inform your audience and also inspire them to take action. In this case, you may want to use a combination of storytelling techniques and the exposition of facts to get your point across. In her book Resonate, presentation guru Nancy Duarte proposes a way to weave both of these into your narrative. She suggests thinking about presentations as somewhere between two extremes: a report, full of unexciting numbers and figures, and a story, which has the power to keep viewers at the edge of their seats. While facts are used to inform, stories create memorable experiences. By shifting between facts that provide a snapshot of the current reality and stories that paint a picture of the ideal situation, you create suspense and desire in your audience to learn what comes next. Duarte visualizes this alternating between facts and stories as a sparkline, which represents the dramatic tension created by comparing what is with what could be. Once you’ve defined the objective of your presentation—whether to inform, entertain, persuade, inspire, or a combination of all of these—you can begin the brainstorming process. Although you’ve probably made the mistake of opening up PowerPoint and creating your slides without any forethought, the best presentations are the product of careful planning and purposeful brainstorming. Start by taking a piece of paper and pencil and drawing out your ideas; this will help get your creative juices flowing and allow you to generate ideas freely, without the sense of finality that comes with inserting content onto a slide. You can use diagrams such as mind maps, Venn diagrams, tree diagrams, and spoke diagrams to illustrate your initial ideas. 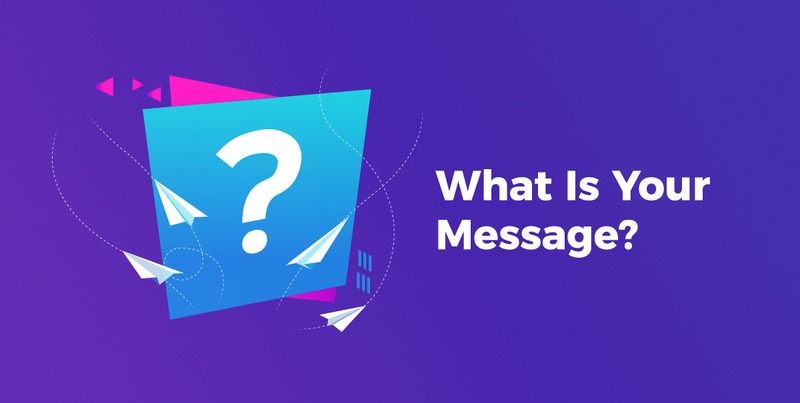 All great communicators know that the key to crafting a message that will resonate with your audience is to first understand their needs, pain points, motivations and goals. The more diligently you set out to walk a mile in their shoes, the easier it will be to speak their language and offer solutions to their most pressing needs. Who is your typical audience member? List key demographic and psychographic information, such as age, gender, race, income level, interests, values and personality traits. What pressing problem can you help them with? What information do they hope to attain from your talk? What do they hope to achieve with it? How do they want to receive information? 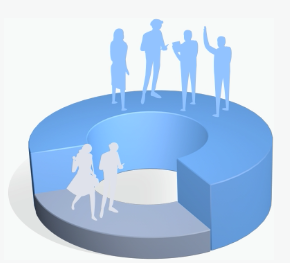 Are they busy people who want a general overview in an easy-to-process visual presentation? Or are they more interested in a detailed report in document format as well? How much do they know about the subject? Use language and terms in accordance with your audience’s knowledge level and familiarity with the subject matter. What objections might they have? How might your audience resist your message? Think of ways to address each of these objections. Next, think of your presentation as a journey in which you will take your audience from point A to point B. What do you want them to do at the end of your presentation? Do you want them to invest in a certain product or cause? Do you want them to change the way they think about a certain problem? To successfully take your audience to that next level, it is first necessary to map out this figurative journey. 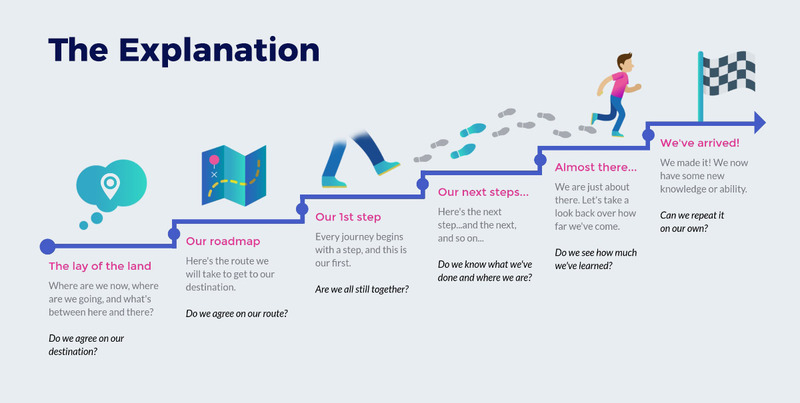 Since presentations have a narrative structure--just like stories--start by creating an audience journey map, with key milestones along the way. According to Gavin McMahon, co-founder of fassforward Consulting Group, this common story structure transfers new information from the presenter to the audience. Its main goal is to teach new insights or abilities. 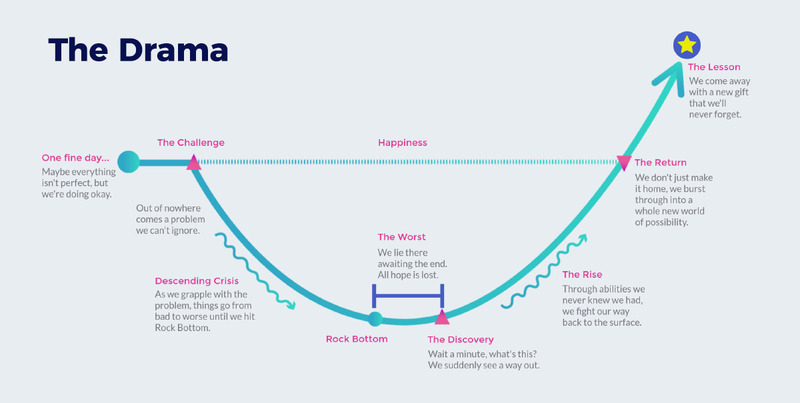 Visualized as the process of stair climbing, each part of the presentation takes you closer to an enlightened state. Meanwhile, The Drama is based on the Hero's Journey, a structure followed by some of our favorite stories, such as The Lord of the Rings and Game of Thrones. The protagonist (could be a brand, representation of a customer, etc.) is engulfed in a problem that can't be ignored. After descending into crisis and awaiting the worst, there is an unexpected discovery that leads the hero to resurface as a conquerer, with a new lesson and story to tell others. 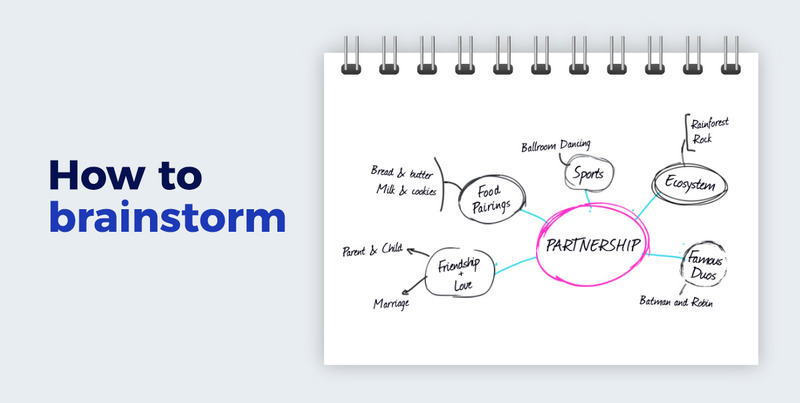 Then there's also this commonly used structure recommended by fassforward Consulting Group. 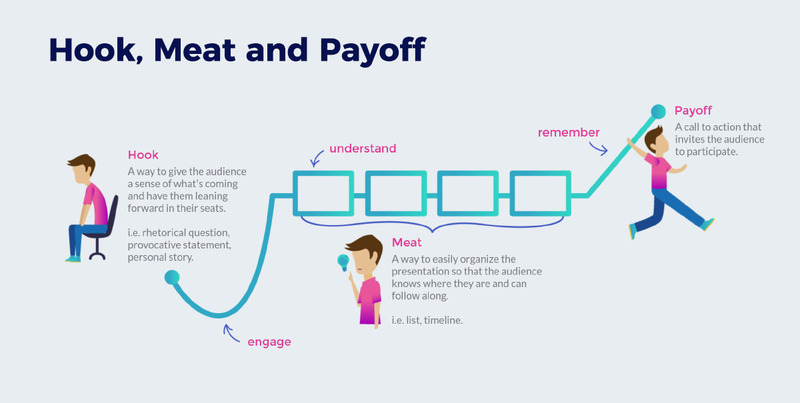 It's a simple formula that starts by engaging your audience with a hook (such as a provocative question or a story) and then proceeds to deliver the meat of your presentation and end with an effective conclusion that circles back to the introduction. 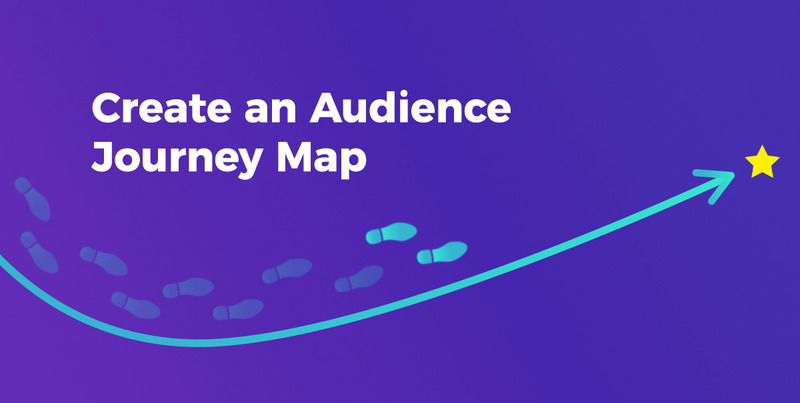 Once you’ve mapped your audience’s journey, make sure to not lose sight of the main focus of your presentation. 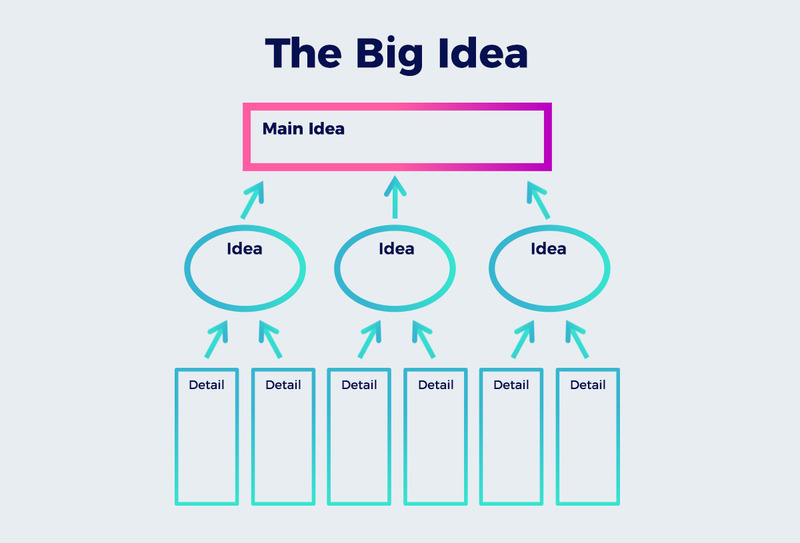 Just like an essay or paper needs a thesis statement, your presentation should have one “big idea” that can be summed up in a few sentences. This statement should articulate your unique perspective on an issue and why your audience should care about it. To build an airtight case within your narrative, you will need to use corroborated facts and figures to back up your claims. 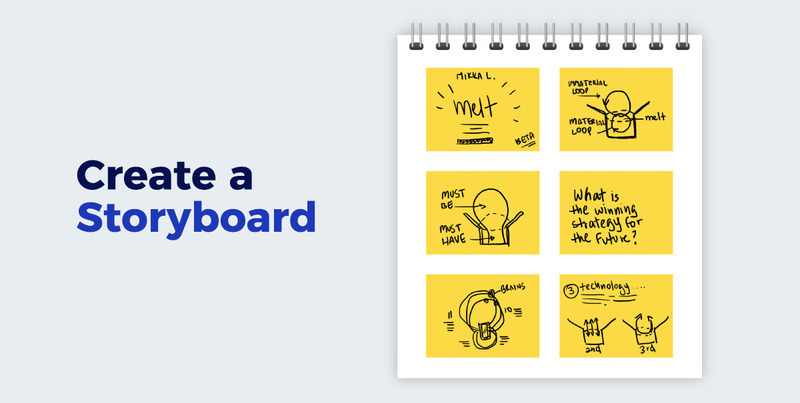 Since a successful presentation is built not just on good content but on an effective design, the next step is to create a visual storyboard, much like those used to outline the content in a video. The overarching theme you decided on in the brainstorming process will be useful for visualizing your deck in this stage, which should contain no more than one idea per slide, as in this example. One of the most common mistakes non-designers make with their slides is filling them with bullet points and large blocks of text. This is a distraction to your audience since they will either choose to listen to your words or read the points on your slide, but they cannot do both at the same time. Rather than use your presentation as a sort of teleprompter, why not create visual slides that reinforce the words coming from your mouth, instead of repeating them? 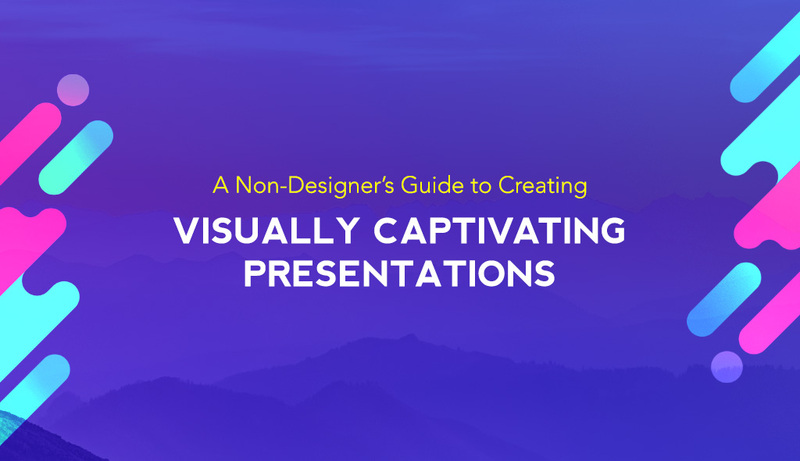 To get a ton of free practical and simple tricks to make your slides more visual, simply click on the Download button below to get a free 120-page visual guide for non-designers. We guarantee you'll never look at another presentation slide deck the same way again! Great article. But the link to download the file keeps being blocked by Internet Explorer as the link seems to be untrusted. Thanks for pointing this out, Rikesh. Have you disabled your pop-up blocker in IE? You can also install Google Chrome to see if that works. If not, please let us know and we’ll send you the file directly. Brilliant overview!! Thanks so much!! Thanks, Natalia! Glad you enjoyed it. Excellent article. Got so much from this! Thanks, Shola! So glad you found it useful. Very interesting! I struggled to download the PDF though! It’s great to apply in many field. 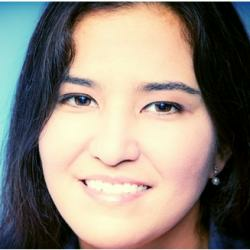 Hi Nayomi Chibana, I loved the article and the resource. I’d like to share it among my peers and co-workers but most of them don’t read english so fluently. Is there a chance you have the document in spanish? Hi Juan, thanks for reaching out to us. We are in the process of translating this article and will let you know once complete so you can share.